Additional features enable synchonised data for measurements taken from across large networks as part of the Industrial IoT. 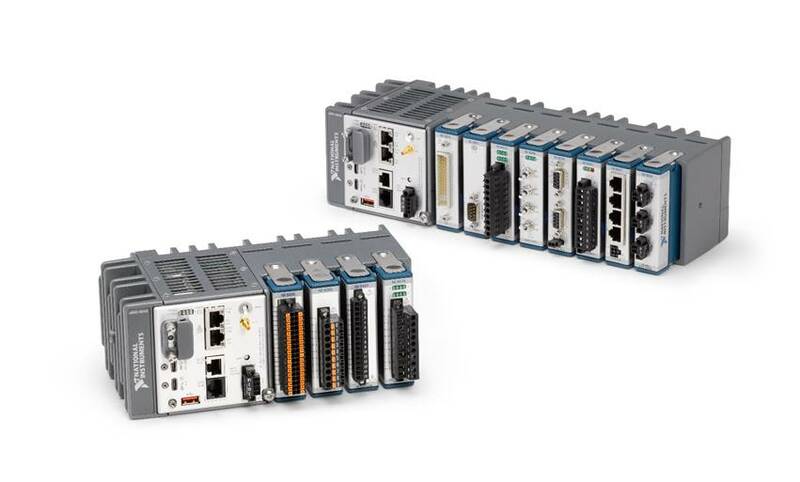 National Instruments (NI) has announced new CompactRIO Controllers that include NI-DAQmx and Time Sensitive Networking (TSN). These controllers offer deterministic communication and synchronised measurements across standard Ethernet networks to increase performance and help improve productivity in addition to flexibility. NI was the first to market with industrial embedded hardware supporting TSN, the next evolution of the IEEE 802.11 Ethernet standard, and provides these controllers as part of its continued investment in TSN. Engineers can use TSN to synchronise distributed systems across networks, which eliminates the need for costly synchronisation cables. As industries such as automotive, oil and gas, research and aerospace continue to implement the Industrial Internet of Things (IIoT), acquiring accurate, reliable and synchronised data across distributed nodes has become more challenging. As a result, companies must keep pace to ensure their systems are ready to meet these evolving requirements. With the addition of NI-DAQmx to the CompactRIO Controller family, engineers can access I/O directly from ready-to-use functions, which have made working with this driver the preferred data acquisition method for over 15 years. This intuitive driver coupled with the openness of the NI Linux Real-Time OS means users can continue to use the vast network of IP available for Linux, like Security Enhanced Linux (SE-Linux). For more than a decade, engineers have used CompactRIO Controllers to solve complex measurement, control and monitoring challenges. NI’s investment in the latest technologies better equips engineers and scientists to analyse and meet future engineering challenges.